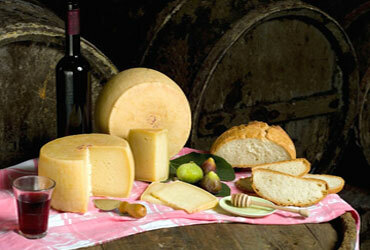 Abruzzo is known as land of the sheep breeders, and PECORINO is a cheese made of sheep’s milk. 1. 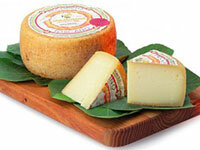 Soft Pecorino: A sheep’s milk cheese aged for a few days, it is soft and easy to cut. 2. 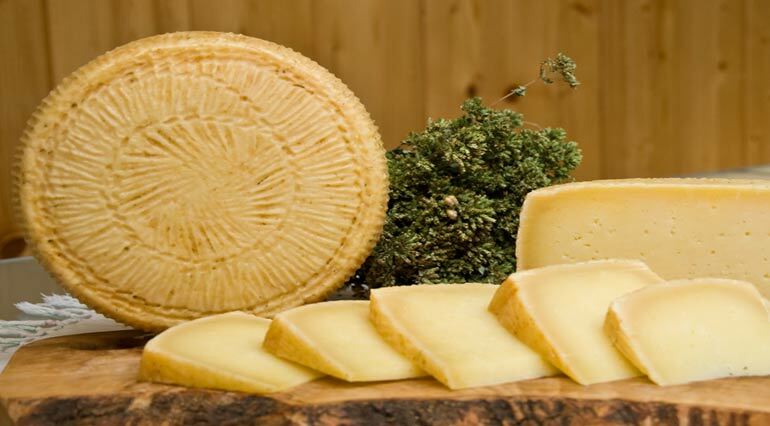 Hard pecorino: a sheep’s milk cheese aged for at least 6 months up to two years. Hard cheese is not very easy to cut but perfect for grating, with a sharp and pungent flavour. In Abruzzo during spring and summer sheep are left to pasture freely, the quality and the variety of their pasture is fundamental for the final flavour of the cheese..
Cut the onion into thin slices; dip the slices of bread in the milk both sides and place in a shallow roasting tin, add the onion onto the bread (at this point I also added a little ground black pepper) and then cover with slices of cheese. Put it into the oven (180 ° C) until onion is cooked (about 10 min.). Add mint leaves and enjoy!